Women in Northern Ireland earn more then their male colleagues. In its latest Global Gender Gap report, the World Economic Forum found that progress towards gender parity had not only come to a halt, it had widened for the first time since 2006. But this isn’t the case everywhere - Northern Ireland in bucking the pay-gap trend. In fact, women in Northern Ireland have not only achieved parity in pay, they actually earn more than their male counterparts. 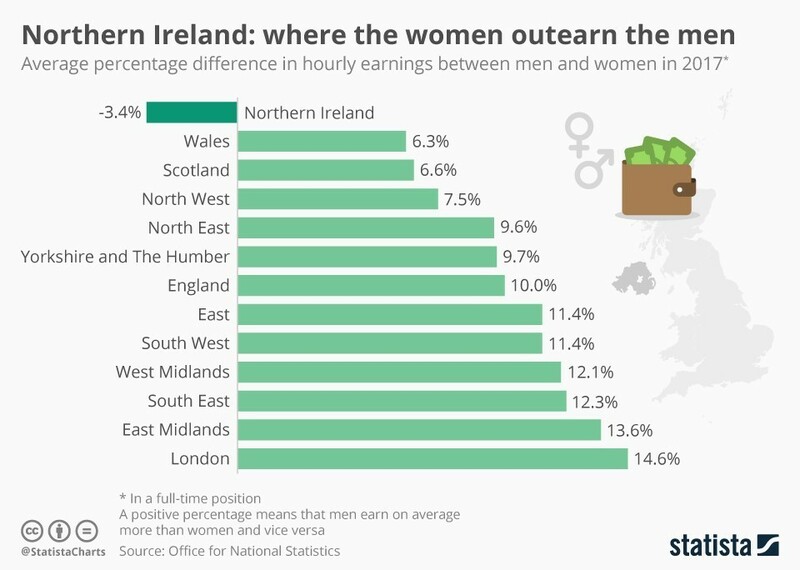 According the Office of National Statistics, women in Northern Ireland earn 3.4% more than men on average - and they’ve being doing so since 2010. The ONS says this is because the province has a higher number of public sector jobs in than the rest of the UK, an area traditionally dominated by women. On average, however, men still earn more than women across the rest of the UK. The gap is highest in London, at 14.6%, and lowest in Wales, at 6.3%. In 2017, the median hourly wage for women working full time was about 9.1% less than the median hourly wage for men, excluding overtime. That’s £1.32 less per hour. There are various reasons for pay differences. In some instances, it’s a case of outright discrimination - men are paid more just because they’re male. Earlier this year the BBC came under fire for paying its male presenters more than its female stars despite doing the same job. Women are also more likely to reduce their working hours. A survey of eight countries by The Economist and YouGov found that between 44% and 75% of women with children living at home said they had reduced their working hours after motherhood. They either worked part-time, or switched to a less demanding job. But only between 13% and 37% of fathers had done so, and more than half of them said their partners had also reduced their hours. Part-time work not only typically pays less per hour than full-time employment, but women lose out on gaining career-boosting experience. There are also likely to be fewer opportunities for part-timers to progress up corporate ladders. Men, meanwhile, are more likely to be in higher-paying jobs and senior positions. The Economist also cited a recent US study that estimated a woman’s future wages will fall by 4% with each child. In Britain, a mother’s wages fall by 2% for each year she is out of the workforce, and by twice as much if she has good qualifications. There may also be other reasons for the pay gap. Women aren’t good at asking for pay rises, according to some. There are also unconscious biases in conversations about pay. For instance, one US study by researchers at Harvard and Carnegie Mellon University showed that women were seen as “tough and unlikable” in salary negotiations and judged accordingly. Men were not. Governments and organizations have made some moves to address the gender pay gap, such as forcing companies to disclose earnings. 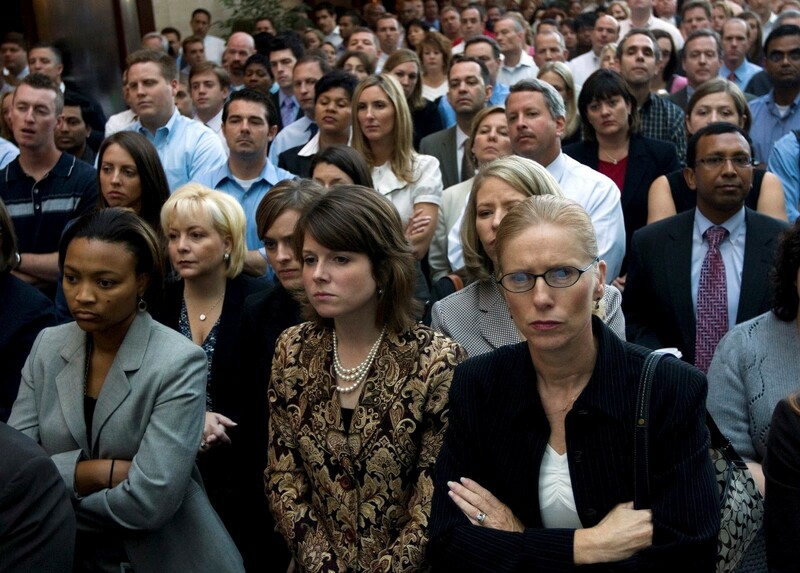 However, the Republican administration in the US recently halted an equal pay measure launched by Democrats. Given current rates of change, this year’s Global Gender Gap Report estimates it will be another 217 years before global gender parity is achieved.